OSWEGO, NY – As Christmas time draws near, Oswego Speedway is offering several ‘Steal Palace’ holiday savings specials including savings options on merchandise and discounted rides in the Speedway’s 2-Seat Supermodified through December 23. 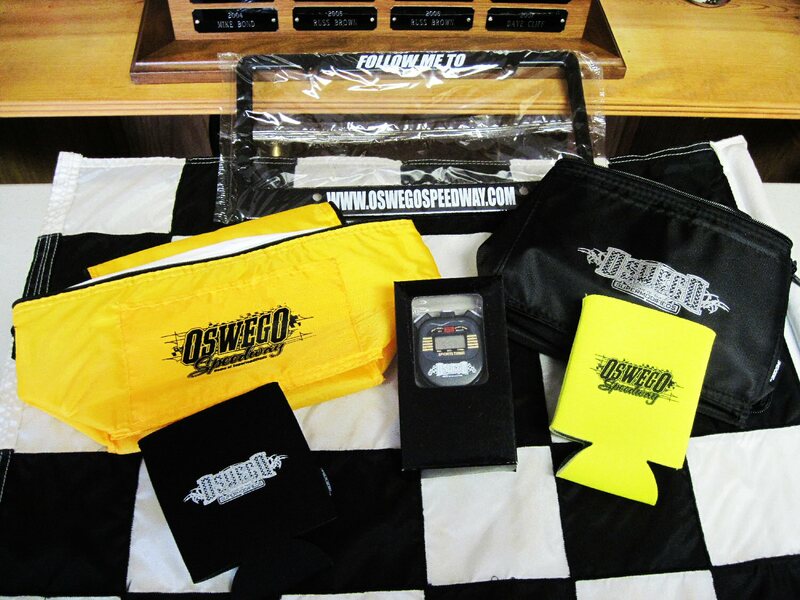 Oswego Speedway is offering several savings options on merchandise this holiday season. Call (315) 342-0646 for availability and sizing. Among those savings options is a $20 gift certificate to the Speedway’s novelty stand in 2015 for those who purchase or renew season passes through December 23. Season passes to the Speedway’s grandstand or pit area are now available and can be purchased by visiting the Speedway’s box office or calling (315) 342-0646. Season grandstand passes start at $225 with season pit passes starting at $350. As a special holiday promotional offer, riders that purchase and book a five-lap pre-race ride before December 24 can do so for only $99, a savings of just more than $50 from the usual price of $150. To purchase a five-lap pre-race ride at the special $99 rate, call the Speedway offices to reserve a date through December 23. Several outstanding merchandise specials are also available through December 23, including $5 T-shirts and $10 hoodies, as well as special packaging offers. One such package is an Oswego Speedway hat, T-shirt, and seat cushion for only $25. Other novelty items for sale include license plate covers, koozies, coolers, stopwatches, carrying bags, and blankets. Through December 23, fans that buy a Speedway cooler will receive a koozie for free. Sizes and availability of Speedway merchandise is limited, please call the Speedway office to order. The Speedway also has select copies remaining of Wicked Fast: Racing through Life with Bentley Warren for $29.95.